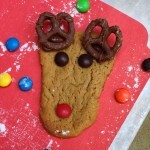 The weeks leading up to Christmas always seem to pass by too quickly for us grown-ups. But to our little ones, the Christmas wait seems to slowly tick by for an eternity. With all of your hurried last-minute preparations and holiday social activities, that difference in how time passes can be a recipe for frustration. This year, make the most out of this special time by organizing indoor activities that will help your little guys and girls enjoy the countdown to Christmas—and help you get a little gift wrapping done. All your child needs to kick start his imagination for this activity is an old tote, his toy box, and a sofa. Create the holiday ambience by lighting the tree and playing familiar Christmas music. Explain to your child that the sofa has been transformed into Santa’s sleigh, and the tote is his magical Christmas bag that he’ll use to deliver toys in. He is filling in for Santa! As your child chooses the best toys to put in his Christmas bag, set up the story for him: Santa needed extra help this year, and your child was chosen as his special helper. How will he get all of the children their toys? Let your child take over the narrative. His imagination will dream up the details of the journey as he delivers toys to different rooms or different sections of the play area. If your little ones are still very young, it won’t be difficult to play this game indoors. 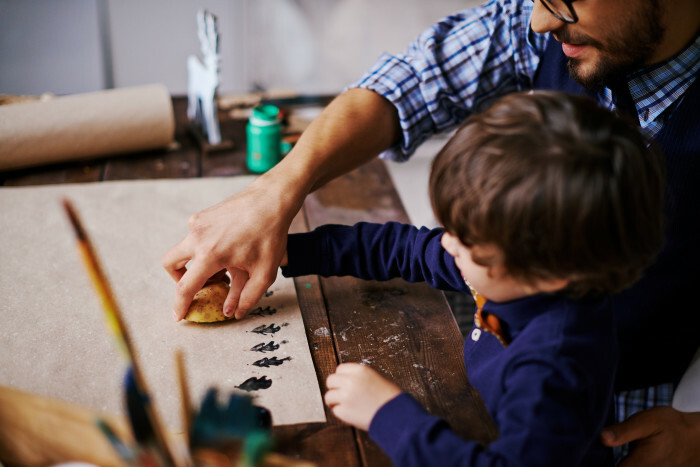 Children enjoy the anticipation of being found while they try to stay quiet, and it allows them to express their creativity while getting out all of that energy! Make this hide-and-go-seek game Christmas-themed and magical. 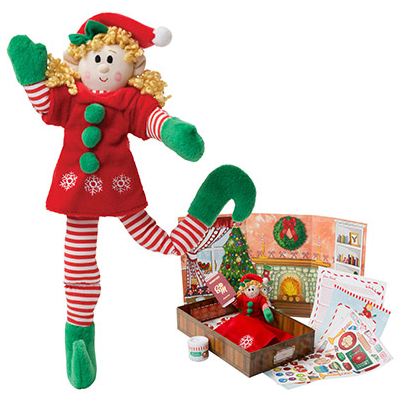 Since Elves love to spread Christmas cheer, let your children take their Elf throughout the house, scoping out good hiding spots, and making sure that no nook or cranny is without the Christmas spirit. When it’s time to hide, let each child have a turn hiding with the Elf. Everyone knows that Elves are good at finding the best hiding spots! Purchase a roll of craft paper at your local craft-and-hobby supply store. Set up a Santa’s Workshop art station for your children to decorate the paper. 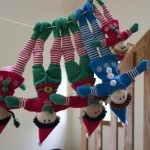 Let them pretend that they’re busily working alongside the Elves to prepare for Christmas. When they finish their doodles, turn their creations into wrapping paper to grace gifts from your children to the special people in their lives. Your children will love seeing how something that they made was turned into a useful and appreciated item. Arrange a craft station with fun and festive items for your children to create their own holiday town that they’ll deliver toys. First, give each child an old shoebox, which they’ll decorate. Second, make sure they have plenty of markers, Christmas coloring books, cut-out pictures of holiday toys from magazines, small paper snowflakes, and any other holiday-themed craft items you have around the house. Once the houses are decorated, each child chooses his favorite stuffed animal or toy to place in front of the home. As your children gather up small toys to deliver to each house, ask them to hold the Elf up to their ears. The Elf knows which toys should go to which homes and is going to whisper it. Let the children take turns listening. They’ll be proud that they can bring Christmas cheer to their holiday village, with special help from their Elf. As Santa gets closer and closer to his midnight flight this year, we hope these indoor activities for kids will fill your home with laughter, memories, and plenty of magic. We hope they also help you catch a little breather. Even Santa needs a break sometimes!